1 year blogoversary. 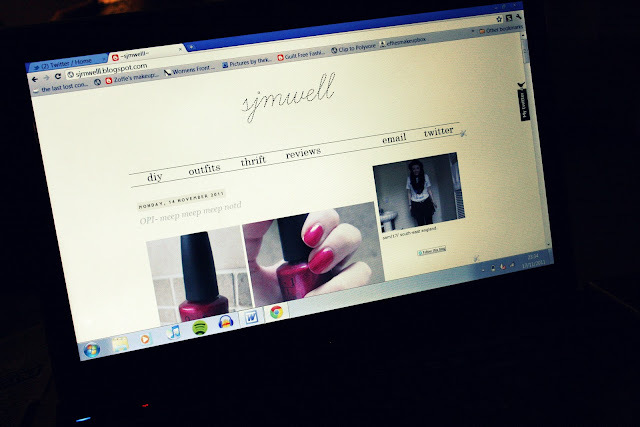 | S J M W E L L - Fashion, Beauty & Lifestyle blog. It really doesn't seem like it's been a year since I made my very first blog post, it feel's much shorter, when I made that random blog post on present's I had brought for christmas last year I didn't know which direction my blog was going in, I was so un-sure what to blog about. I've spoken to some really lovely people on twitter by blogging which I never even thought of when I first made a blog, there really is some nice people in the 'blogging world' and i'm so happy to be part of it, thank you all for following my little blog and commenting on my post's, it really does make me smile.